The old saying goes “if life hands you a lemon, make lemonade”. Well this is actually very good health advice, just don’t add the sugar. I recently came across some information on the health benefits of adding 1/4 – 1/2 of a lemon squeezed into an 8 oz. glass of water to drink twice daily. I’ve started this practice and it makes me feel better. I’m not catching any colds/flu bugs, and believe me, they are going around right now. I happen to love the taste of lemon squeezed into my water-glass. Now I know why. Squeezing 1/2 lemon into your water can create a refreshing drink that raises your body’s pH. Why do we need to raise our body’s pH levels? Well, having a low pH means your body is acidic, which is not healthy. When our body is acidic, it doesn’t function quite as well as it should. We become more susceptible to illness, disease, fatigue, etc. Help relieve many digestion problems when mixed with hot water. Due to the digestive qualities of lemon juice, symptoms of indigestion such as heartburn, bloating and belching are relieved. By drinking lemon juice regularly, the bowels are aided in eliminating waste more efficiently. The intake of lemon juice can cure constipation and control diarrhea. Lemons boost the immune system and help fight off infections. A daily dose will help ward off colds, stomach disorders and serious infection. Lemons have strong antibacterial properties. Therefore, they are good in preventing several bacteria-caused illnesses, including the stomach flu. Lemon is an excellent fruit that aids in fighting problems related to throat infections, sore throat and tonsillitis. For sore throat, dilute one-half lemon juice with one-half water and gargle frequently. Lemon juice can aid in weight loss by drinking an 8 oz. glass of water with 1/2 lemon squeezed into it each morning, which will kick-start your metabolism. Lemon acts as a blood purifier and as a cleansing agent. Lemons are an excellent source of antioxidants. Antioxidants rid the body of toxins as well as the free radicals that cause aging. It is even known to help relieve hiccups when consumed as a juice. Lemon juice acts as a liver tonic, is a dissolvent of uric acid and other poisons, and helps you digest your food by helping your liver produce more bile. Lemon’s potassium content will nourish the brain and nerve cells. Its calcium builds up the bony structure and makes healthy teeth. It decreases the amount of phlegm produced by your body. It is also thought to help dissolve gallstones and kidney stones. Remember to always buy organic lemons, free of pesticides. Some lemons are more sweet than others. 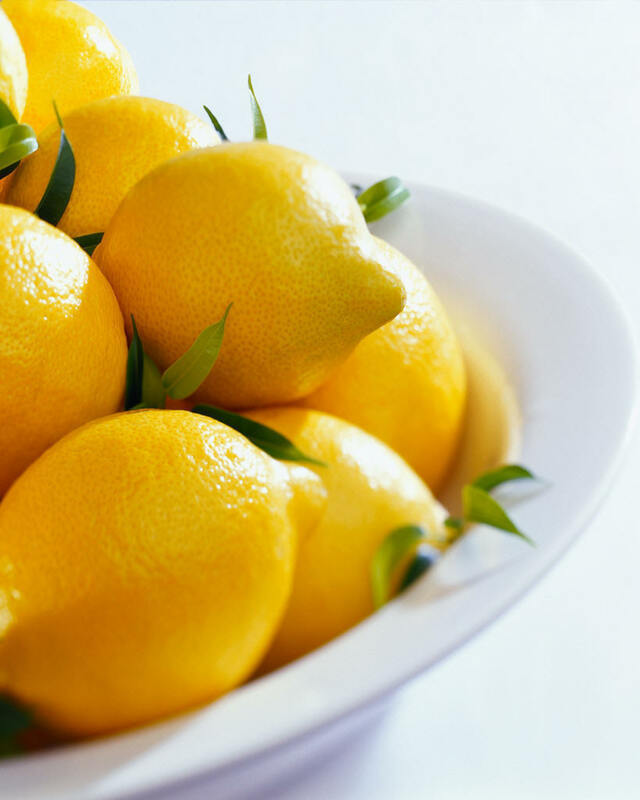 A rule of thumb for selecting a lemon that is both sweet and high in mineral content, is to pick one that has a high specific gravity measurement and is heavy for its size. By comparing equal-sized fruit, the one with the greatest weight will have the most mineral content and sugar. A thick-skinned lemon will not be as heavy as a thin-skinned lemon and will not have the desired sweetness or mineral content. So the next time life hands you a lemon, squeeze it into your water and drink to good health.